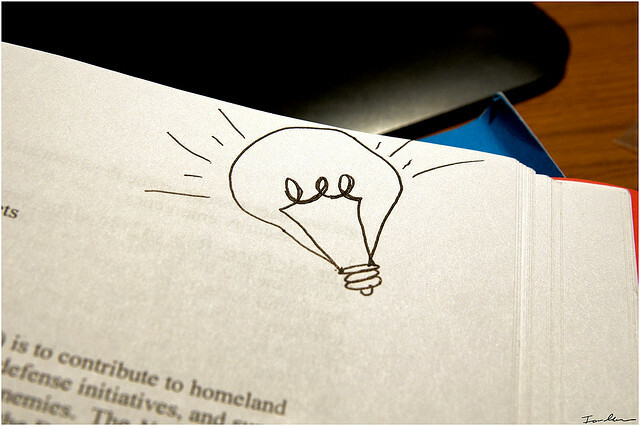 How Do You Know When An Idea Is a Good One? Apple has the iPhone, Oprah has O Magazine, Netflix has Orange is the New Black. Every business needs at least one Big Thing. It’s that product or service that’s the blockbuster, the flagship, the signature. It encapsulates the value the business creates, the purpose the business holds dear, and the culture the business nurtures. When a business leverages a Big Thing, its reach grows organically, its sales come naturally, and its customers act as brand evangelists. And all that adds up to big success. Your Big Thing is the product, service, or program that you are staking your reputation on. It’s how people remember your business and why they’re excited to get your emails, follow your Facebook page, or watch your tweets come down their stream. The business owners I work with are all either refining and improving their Big Things or developing new ones. I watched Kate Swoboda take a simple information product she created 3 years ago and turn it into a thriving coach community and training program that she’s now well known for. I helped Natasha Vorompiova channel her 1:1 business systems service into a signature program called the Systematic Success Guide which has significantly increased her revenue over the last year. And I’ve coached Ali Shapiro as she develops and grows her Truce With Food program to help more and more women end their food angst with her Thinker’s Diet. Does your business have an offer that represents what you do beautifully, sells easily, and leverages what you do best? Your Big Thing might feel like the Holy Grail. But this is no wild goose chase. You can discover your Next Big Thing through a simple process. It’s the same process I used to develop my own Big Thing, a business strategy system called 10ThousandFeet That program has generated mass growth, attention, and value for my business—even in a crowded market, even without investing thousands of dollars in research or development. Today, we’re releasing the first of 3 exclusive training videos to help you find the Big Thing that will carry your business into it’s next phase of growth. To watch the first of these 3 videos, head to my course page, hit RSVP, and scroll down and watch. With these 3 videos, you’ll be already for my next CreativeLive workshop, August 21-23, called Market, Launch, and Sell Your Next Big Thing. I expect to see you then! Want to get started? Just RSVP to my class, then you’ll be invited to watch and learn.